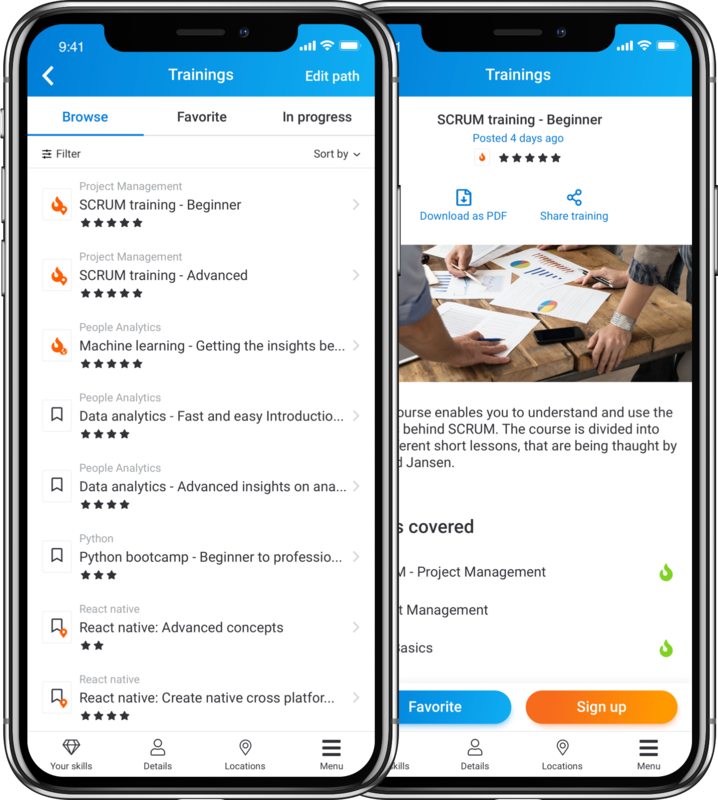 Discover and connect the knowledge in your company, develop your employees and build an agile workforce. With #smartPeople we provide a deep-dive into your organizational skill-set. You get transparency about hidden workforce potential through automated skill-assessment and are able to unleash the real potential of your people and your company. Make expertise discoverable and know how to connect. 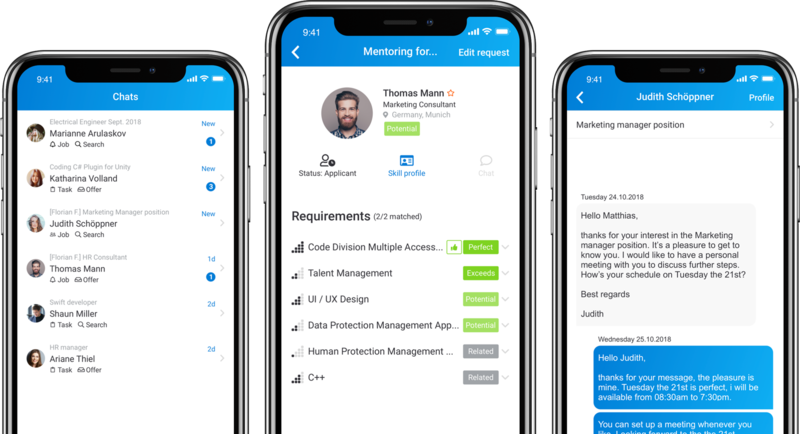 Easily identify employees within your organization with the right skills to fill vacancies, staff project teams or accomplish tasks based on our best-fit matching algorithm. 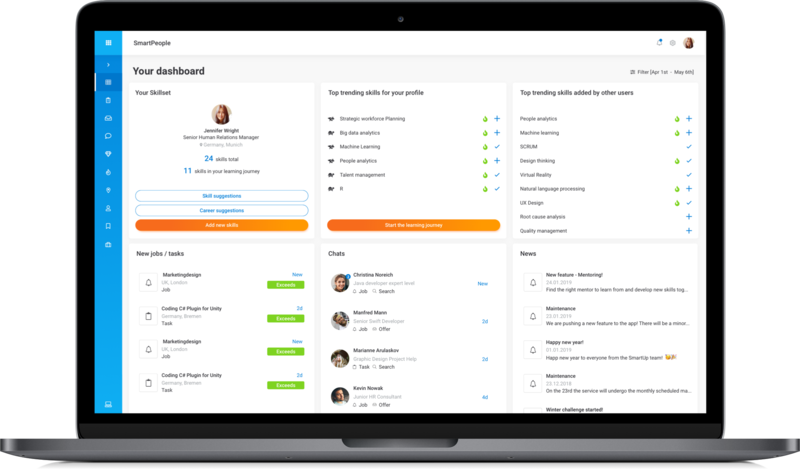 All employees are automatically informed whenever a vacancy, project or task matches their skill profile. #smartPeople – the network organization. Connect the employees in your organization for improved networking and knowledge-sharing even though they are not working in the same office. SmartPeople helps you build agile structures for highly diverse workforce and overcome department barriers. 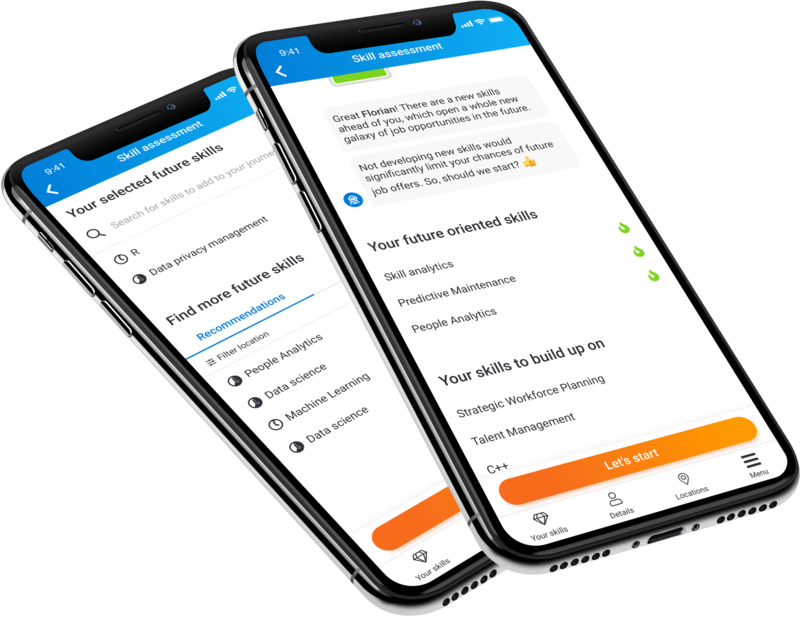 #smartPeople enables individual development recommendations for employees based on macro-economic data and aligned to your company‘s strategy. Our algorithm proposes suitable trainings out of a worldwide training pool or your company trainings database to close the gaps and to be ready for the future requirements. Know and close your skill gaps. By identifying skill gaps between employee profiles and future requirements you stay ahead of your competitors. #smartPeople helps to shape a culture that triggers the motivation of employees to drive the skill-set transformation of your company and create an atmosphere for innovation and change.